With Ardent Heavy Industries. 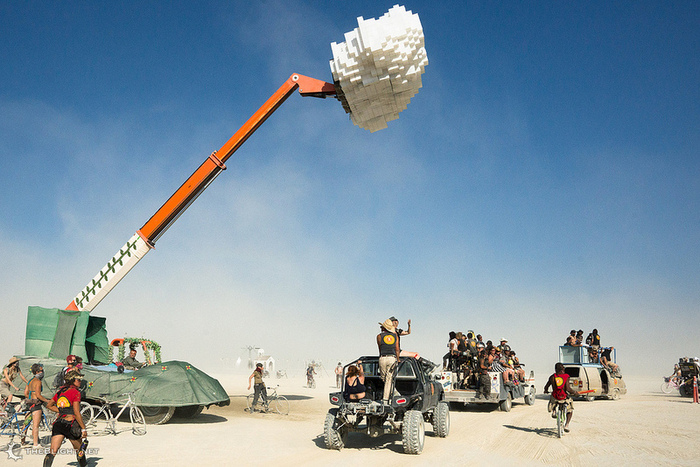 Roving ‘Cloud’ car elevated 45ft in the air. Rated for riders, performers, and localized rain. Displayed at the California Academy of Arts and Sciences.